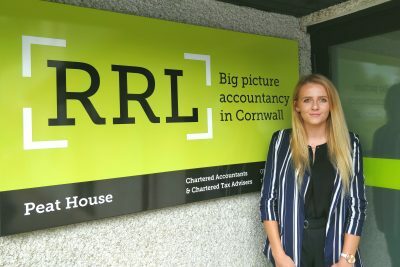 Danielle Harris has been working at RRL for the duration of the summer as an Accounts Assistant, as part of the firm’s placement programme. She will now be returning to the University of Exeter to begin the third year of her Business Management degree. During her placement with the firm, Danielle has primarily been working on tax returns and assisting with client matters. 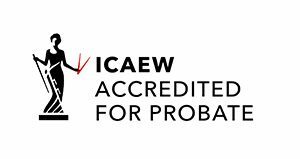 She has also had the opportunity to experience the diverse range of RRL’s work, including working in the firm’s Penzance Office with the Probate team, assisting with the drafting of wills, client letters and engaging with the Land Registry. Danielle explained what she had gained from her time at RRL: “I’ve gained a great insight into the work of an accountant, particularly what goes into tax return preparation and I’ve really enjoyed my time at RRL – so much so that I extended my internship an extra two weeks, and I am very sad to now be leaving. Everyone has been very welcoming and helpful, answering all of my questions, and I’d like to thank all of the Partners, Managers and staff for all of their help. Partner Nick Skerratt, whose team Danielle was a part of during her time at the firm, said: “Danielle has been great to have around the office and has gotten to grips with the work that we have given her remarkably quickly. She has been an asset to the firm over the last couple of months and I hope that she has benefited from the experience.